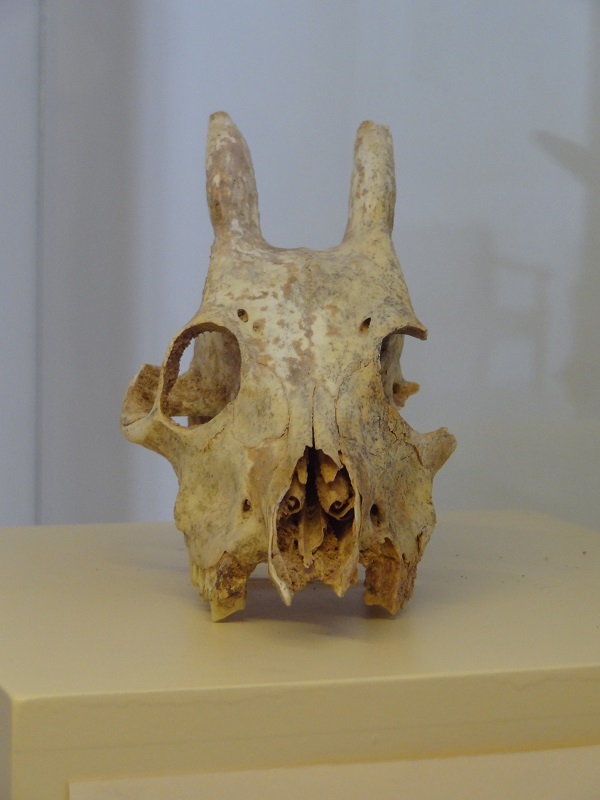 If you look at the skull above I photographed at the Museu Diocesà de Menorca at Ciutadella, you can see the unusual direction of the orbits. 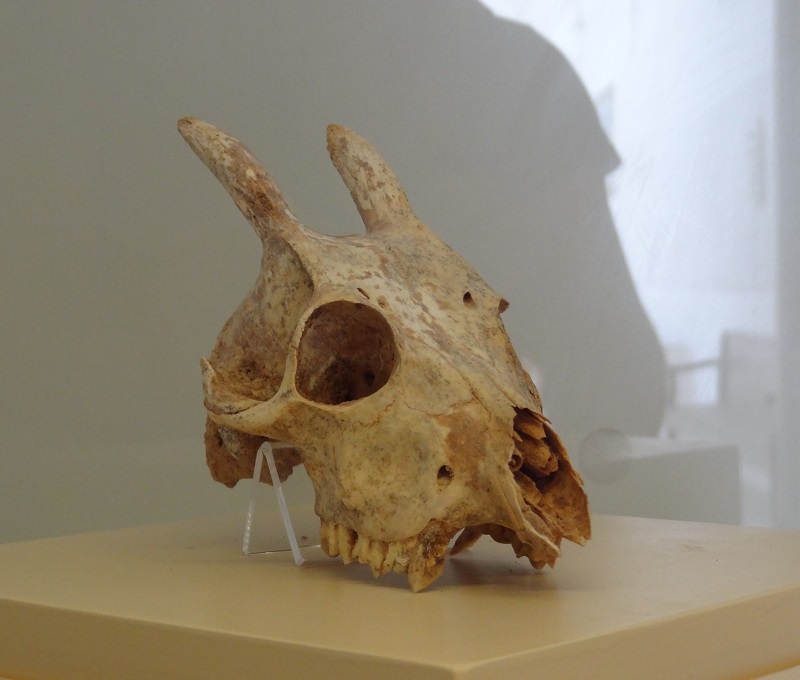 The common condition in ungulates are orbits situated on the sides of the skull. Myotragus must have looked quite weird in life, nearly somewhat like an anthropomorphic animal character from a story book. Take a look of this life reconstruction in frontal view to see what I mean. 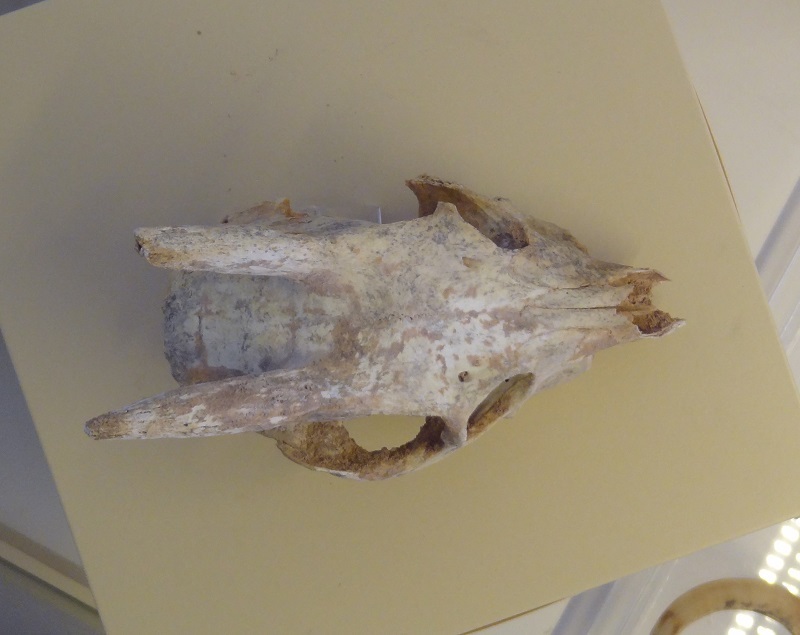 Sadly this was only a cranium without the mandible, but you can also see the very short facial skull and the quite robust molars. 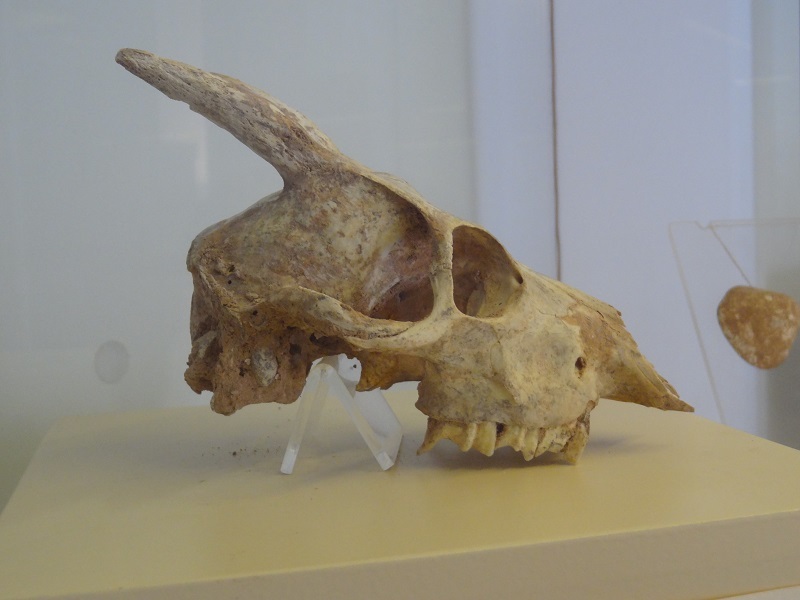 It had also quite small horns for a wild caprid, as even the males didn´t have larger horns than seen in this skull. 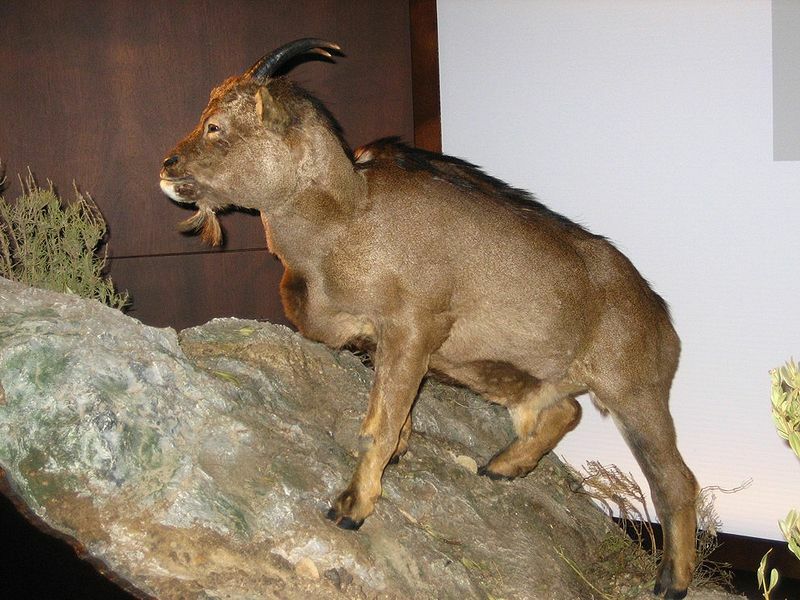 One of the most remarkable pecularities of Myotragus was its growth pattern, which was unlike any other known mammal. Its metabolism adapted to changing environmental conditions, like the availability of food, causing irregular growth patterns with intermittent phases in which growth fully ceased. It took also a very long time until they reached somatic maturity at around 12 years, what´s extremely late for such a small ungulate. This growth pattern is unique among modern mammals and resembled much more those of an ectothermic reptile. It´s really a misfortune that we missed this extraordinairy animal only for a comparably short time. Myotragus was not one of those fabulous beasts which already became extinct tens or hundreds of thousands or even millions of years ago, but disappeared -in geological terms- quite recently, around 5000 years ago, after the Balearic Islands were populated by humans. 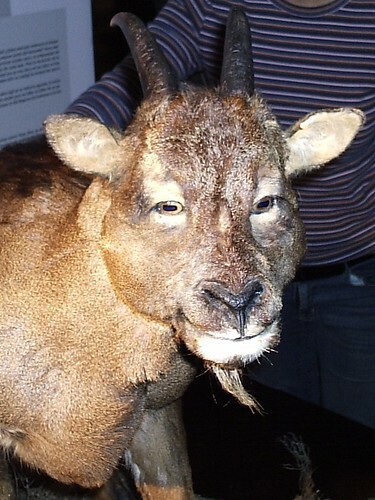 Surprisingly this reconstruction doesn´t even look that odd, what´s perhaps also because it resembles certain common domestic goat breeds with shortened facial skulls short horns and short legs. Dieser Beitrag wurde unter ausgerottete Arten, Paläontologie, Säugetiere veröffentlicht. Setze ein Lesezeichen auf den Permalink.